No, this post isn’t about cajoling, bribing, manipulating, or otherwise pushing people to do what you want if – or even because – it will be good for them in the longterm. Not only is this kind of behaviour completely ineffective, it’s also destructive regardless of whether it’s happening between friends, relatives, or romantic partners. The decision to change one’s habits for the better is something that every adult has to decide to do for themselves. I won’t lie to you. It’s difficult to make big, permanent lifestyle changes. The only way these changes will stick is if the person who is trying them is genuinely committed to the process. With that being said, there are a few things you can do if there’s someone in your life whom you wish would start exercising for the sake of their own health. I walk briskly for about an hour every day. I also lift weights and occasionally dance or do yoga as well. When I invite someone to do something active with me, it’s always for activities that I’ve already been doing and deeply enjoy. If you want your loved one to start taking better care of themselves, showing them how it can be done is one of the best things you can do. Words are cheap. Months or years of quietly demonstrating how to fit exercise into your life is a much better motivator from what I’ve observed. One of my neighbours regularly goes to the gym, and his hours of weightlifting have changed his physique in all kinds of healthy ways. I’ve been quietly impressed with how dedicated he is to growing stronger and building some serious muscle. Feeling better was one of my biggest goals when I first began exercising again regularly a few years ago. As I’ve mentioned in previous posts, I was tired of feeling rundown. While I definitely wanted to lose a little weight at the time as well, having more energy, sleeping better, and eventually not getting sick as often were what kept me going before the numbers on the scale started to budge. If you can figure out what your loved one would like to change about their life and what kinds of exercise they do (and don’t!) like, you’ll be able to suggest some routines that would help them reach those goals. One of the things I love the most about living in Toronto is how easy it is to walk everywhere. Everything I could possibly need or want is within walking distance of my house: grocery stores, salons, movie theatres, parks, medical clinics, museums, and the library. I could easily go weeks without needing any form of transportation other than my own two feet when the weather is mild. Sometimes my spouse and I entertain ourselves simply by taking a long walk when we don’t know what else we’d like to do. Of course, not everyone lives in a neighbourhood like this one. I’ve lived in suburban and rural places in the past, and I know how much that can affect someone’s daily routine. The basic principal remains, though. 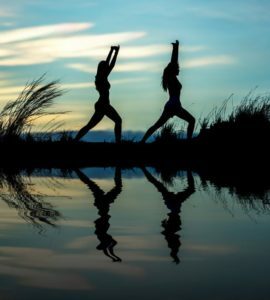 Exercise doesn’t have to be something you tack onto the end of your day. There are many different ways to weave it into your routine in all kinds of fun ways if you think creatively about it. For example, I have a relative who lives so far out in the country that there aren’t any pizza places that will deliver food to them. One of the things her family likes to do is walk half a mile or so down the road to visit another relative of ours every day. Even small amounts of exercise like that can really add up by the end of the day or week, and they won’t feel like work if you’re doing them to get to somewhere fun. This is by far the most important step in the process. Adults have the right to run their own lives however they see fit. Once they know that you’re interested in working out with them, it’s up to them to decide when and whether this might take place. 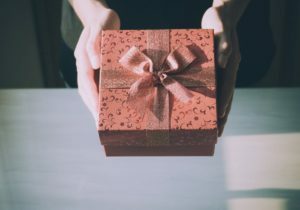 Think of it the same way you do when you give a gift to someone. Once you’ve handed it over, what they do with it is something only they can determine. They might use it forever. They might use it someday when they’ve realized how valuable it is. Alternatively, they might decide it isn’t the right thing for them and never use it at all. It’s okay to invite them to do a specific activity every once in a while, but that’s as far as I’d go unless they’ve asked you to invite them to work out more often than that. Let them think about it. They’ll either decide to take you up on your offer or they won’t. Either way, it’s out of your hands now.